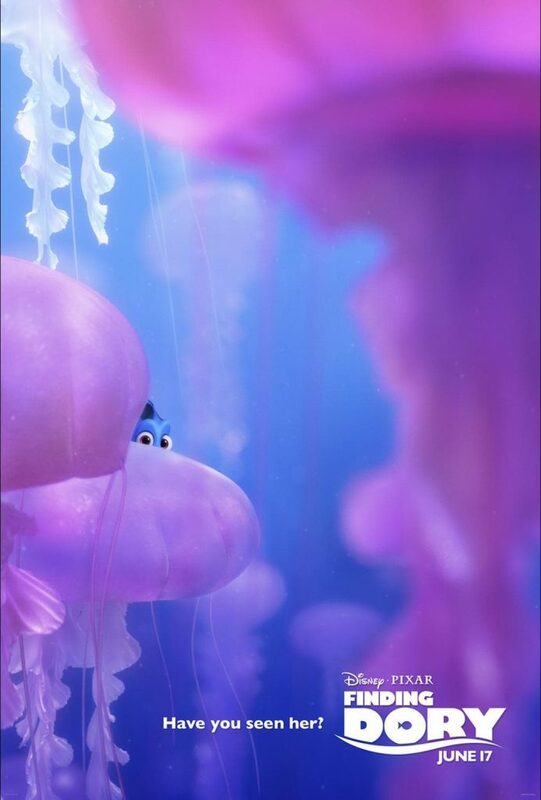 Finding Dory: My New Favorite Disney Movie! Last Monday, we got the awesome opportunity to see Finding Dory at an advance screening. I got the invitation a few weeks ago and I had been looking forward to it ever since. Let me just say, it did not disappoint! Thankfully its open in theaters as of today, so everyone can enjoy it. I don’t want to give away any spoilers, but let’s just say if you liked Finding Nemo, you will LOVE this sequel. I’ve been waiting 13 years for a follow up to my previous favorite Disney movie. 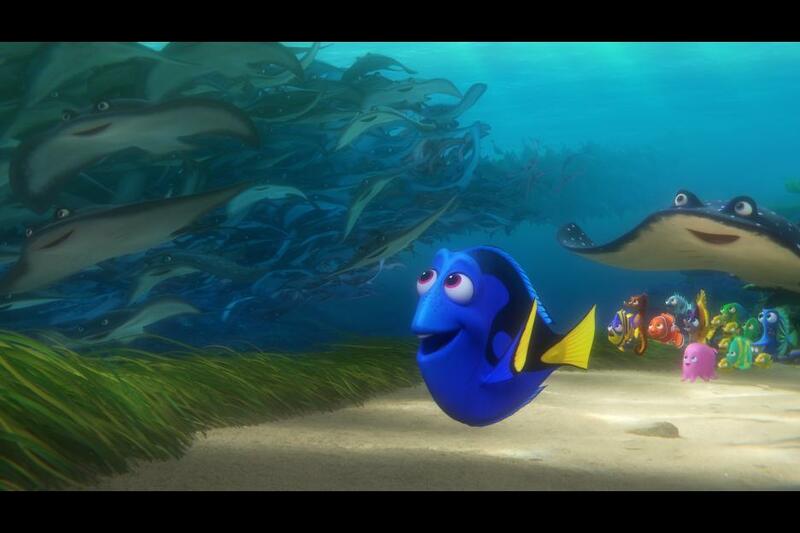 This time we follow everyone’s favorite blue tang, Dory, voiced by the hilarious Ellen Degeneres. Dory starts remembering bits and pieces of her past, and remembers that she has a family and along with some familiar friends and new friends goes on a search to find her loved ones. 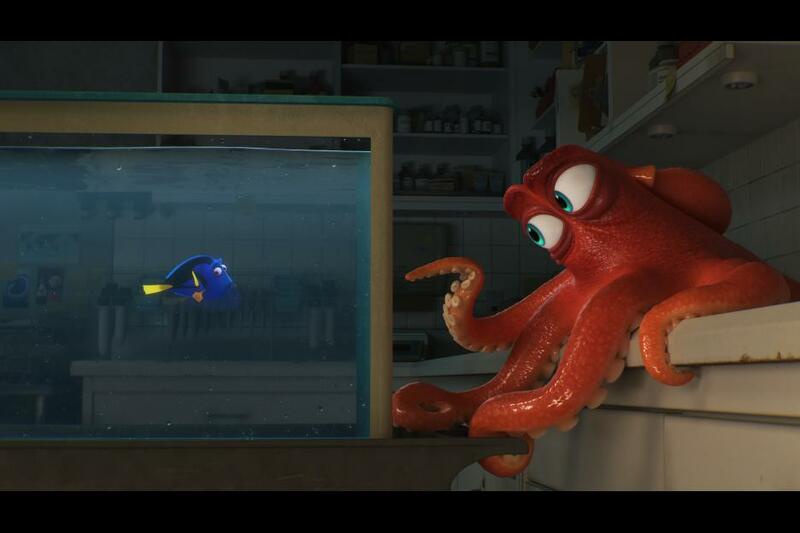 Possibly my favorite character is Hank, the octopus (or should I say “septopus” since he is missing a limb!) voiced by Ed O’Neill. A few people have asked me if this film is appropriate for all ages, and I have answered with a resounding “yes”! There’s nothing exceptionally scary (except maybe one scene at the beginning, but everything turns out ok). So to celebrate the release of Finding Dory, I gathered up a few freebies from my friends at Disney to share with you, and I think you’re going to love these! First off, we have a Finding Dory coloring sheet. This is adorable and the kids will LOVE it! In fact, I think I might be doing some adult coloring this weekend too! Click the image below to download your free coloring sheet. Next up, you can download a free Finding Dory Character Mobile! This would be a fun summer craft for the kids, or if you want to really make it last longer, use a laminator to make the characters rigid and durable! Just click the image below to download the freebie and print! I have been telling everyone how much we loved the movie (and I don’t even have kids!) and its the first movie I have ever been to that the whole audience applauded at the end! We were so excited to see the movie, we drove an hour each way to see the advance screening and it was TOTALLY worth it. Don’t wait, go see this movie. You’ll love it! 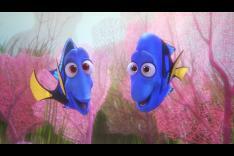 Will you be seeing Finding Dory in theaters?